Since last autumn I have not heard the sound of an Owl at all, until tonight. I am really pleased to hear it! 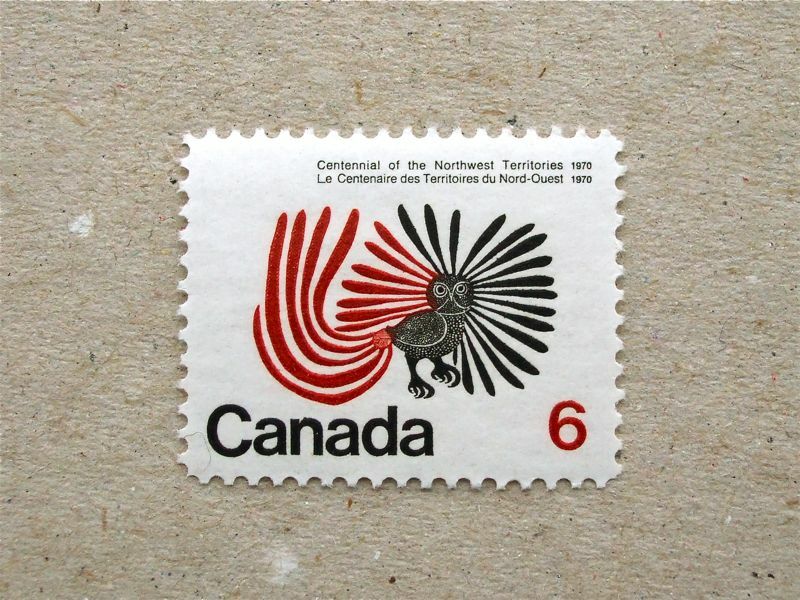 This beautiful Owl stamp is based on an Inuit artist‘s work from 1960, named ‘The Enchanted Owl’. How magical the Owl was in their tradition – I would like to find out. In Canada, the indigenous people’s full political rights were entitled in 1960 – two years earlier than the Australian Aborigine – just 51 years ago. That is a suprise. 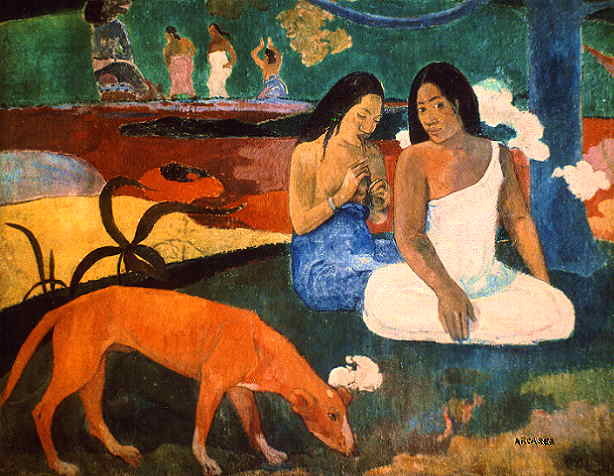 A retrospective of Paul Gauguin is starting tomorrow at Tate Modern in London. In relation to this, there are TV and radio programs, talking about this artist’s life – it seems a lot of people think he was immoral. Perhaps we have to see his works, to judge if he was a bit out of the way or was lucky to have a different approach to others of that time. The title of this picture ‘Arearea’ means joyousness in Polynesian language. 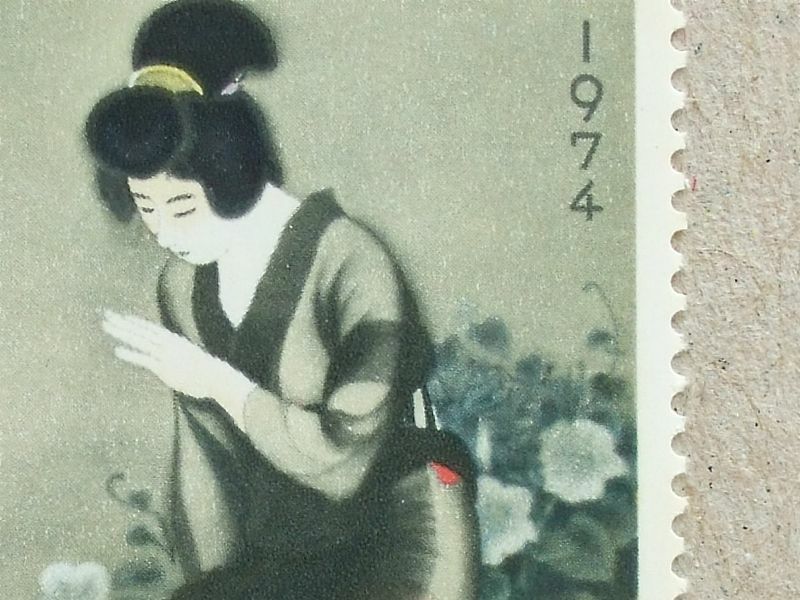 Interpretation of the original by engraver is very interesting – it was a challenge within limited printing colours as well, and it is done really well. 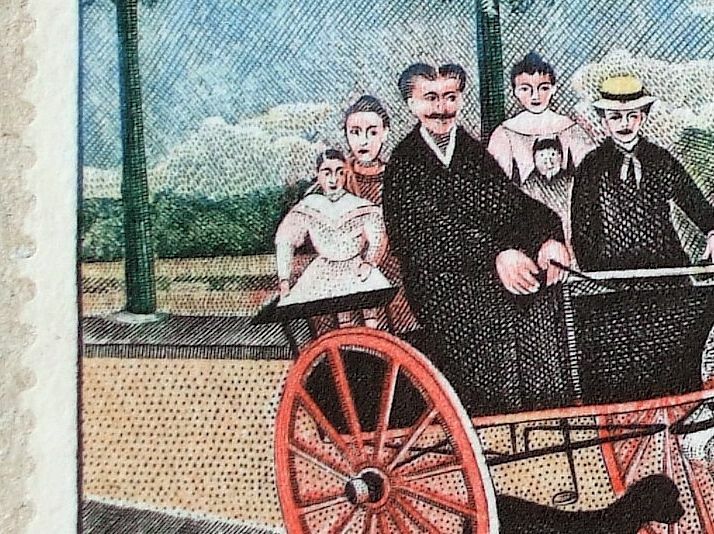 The original picture was painted in 1908, now owned by Musée de l’Orangerie. This intaglio interpretation is nicely done, trying to evoke its original’s atmosphere. I visited Notre Dame de France in Soho, after reading about a fresco by Jean Cocteau. Drawings are free, poetic, calm but somehow humorous. 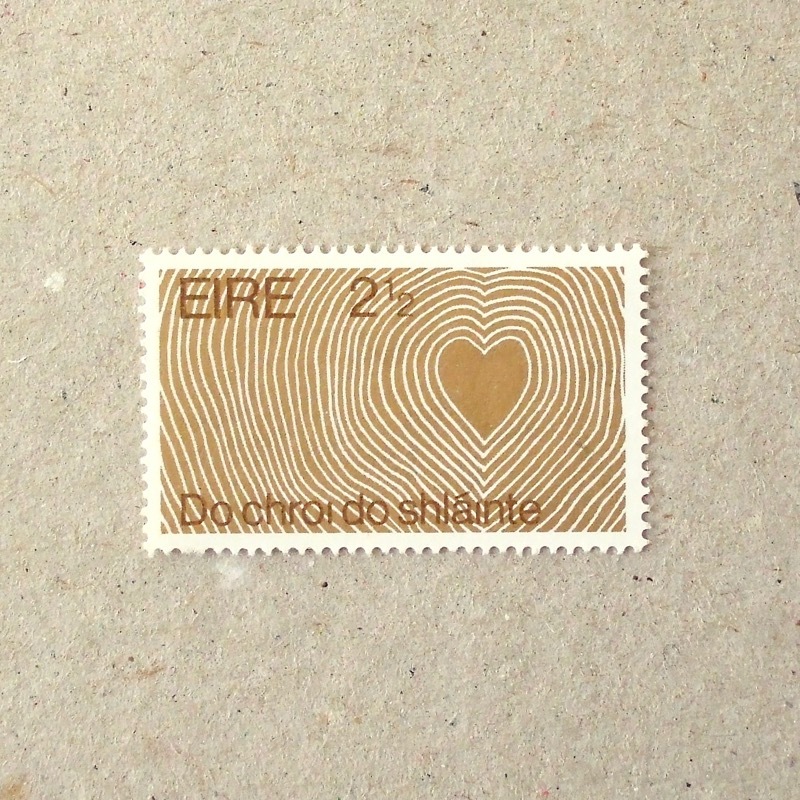 He also made a fresco in the church of Milly-la-Foret near Paris, where he spent his last years, and two years before he died he designed a stamp. 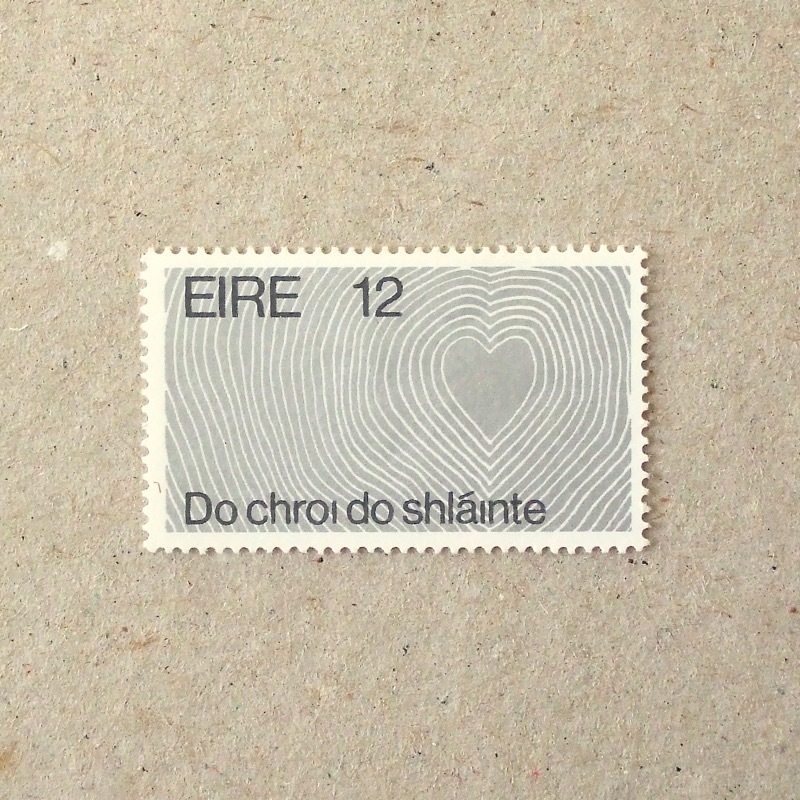 I love this stamp and its chic lightness, which contrasts with the country’s heavy history.